This post was contributed by Leo Galperin of Language Connectionsand first appeared on their NewsConnections Blog. As you think about your international business development program you may worry about the ethical issues inherent in FCPA situations. But did you ever consider the quandaries which might be faced by your interpreter? It's not simply a question of marketing translation of sales collateral! Most people focus on doctors, lawyers or judges when they think of ethical choices that professionals must make. But what about translators and interpreters? 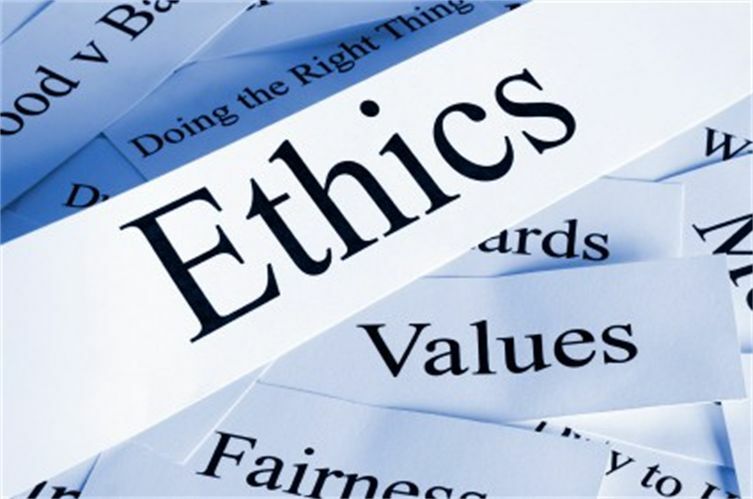 There are several common ethical standards which are accepted across all professions. For example, finishing a project by a certain deadline, declining to undertake a project for which the professional is not qualified and certified, not overcharging the client when a price has already been quoted or keeping the client’s information confidential. In other words, there is a set of standards that when applied helps to ensure the best results will be achieved for the client. Although ethical issues appear to have little to do with translation and interpreting, most translators and interpreters will in fact face more than one ethical dilemma throughout their career. While codes of conduct for translators and interpreters do exist in some countries, they mostly set out guidelines on issues related to professional competence. For instance, the American Translators Association (ATA) has a formal code of ethics that all members must adopt and follow. But what about a translators’ or an interpreters’ personal code of ethics? While writing about this topic, a particular story came to mind: An interpreter I know personally was interpreting for a real estate agency during the purchase of a property. On one occasion, during a meeting between the brokers and buyers, the two real estate brokers for which the interpreter was working suddenly started to make fun of the buyers. An interpreter is obligated by their profession to interpret everything that is being said, so it is easy to guess how conflicted the interpreter must have felt at this point. What was she supposed to do? She decided to let the brokers know that she would interpret every word from that point on, and so they stopped mocking the buyers. However, sometimes translators experience ethical dilemmas that are more related to their personal views. For instance, would a translator translate the instructions for an automatic rifle if he knows the target readers are teenagers in Sudan? Would he translate a pamphlet containing neo-Nazi ideology? What about if he is pro-choice, would he interpret for a pro-life group? To translate or not to translate, that is the question. There are several opinions regarding this issue depending on whom you ask. Some professionals think that it is essential to separate your personal convictions from your professional life, but to what extent is this possible? One of the requirements to achieve a good translation is to be faithful and accurate to the source text and this means there is no place for subjectivity. This begs the question whether a translator is able to provide a quality product if it involves betraying himself or herself? As I mentioned before, it probably will depend on the individual translator. It will also depend to some extent on the individual’s personal circumstances. For example, a junior translator is less likely to be picky about what he is asked to translate, especially if this is his only source of income. To some degree this situation resembles the concept of a fair juror at a trial. Like jurors, translators and interpreters at times must make difficult ethical choices. In most cases, these choices positively affect their professionalism as they ensure dedication to a quality product. International business adds another layer to many of the issues you already consider as part of your business activities. You are aware of many, but some might not yet be on your radar. Consilium Global Business Advisors helps companies anticipate and plan for international issues, including marketing translation and international inbound marketing, so that export development occurs with fewer unexpected problems. "We specialize in complex linguistic translation, localization and interpreting projects with unique technical and logistical requirements. Established in 1993, Language Connections is headquartered in Boston, MA with satellite offices in major world centers. In order to serve our clients better, we employ a network of experts – translators, editors and interpreters worldwide – to assure competent, timely and cost-effective support. Our linguists specialize in energy, engineering, high tech and advanced sciences, pharmaceutical, medical, biotech, legal, marketing and business translations. Their work is coordinated by our experienced and efficient Account and Project Managers. We use the latest translation industry software tools to guarantee consistency, savings and top quality services. We translate web sites, scientific articles, patents, clinical documents and other culturally sensitive materials."